I am an intellectual property attorney in the Washington, D.C. law firm of Staas & Halsey LLP specializing in trademark and copyright law. I have been representing a diverse group of businesses in a variety of industries and commercial sectors since 1995 while working in several intellectual property boutique law firms; consulting with the in-house trademark group of an international hospitality company; and examining trademark applications as an Attorney Advisor in the U.S. Patent and Trademark Office. My IP practice also covers internet domain name IP issues; anti-counterfeiting matters; copyright prosecution; and IP licensing and… read more transactional matters. ""Our German IP firm worked with Alex on several cases regarding prosecution of U.S. trademark applications corresponding to European trademarks of our domestic clients. 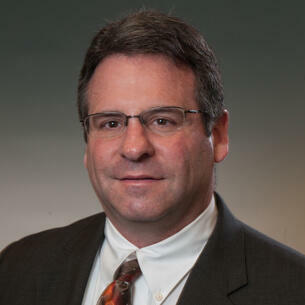 Alex is certainly an expert in U.S. trademark law and an excellent attorney. He has done an outstanding job for us and I can highly recommend him. Last but not least, I really enjoyed working with Alex!"" "Great experience with Alexander H Butterman-- We appreciate the long hours and hard work that has gone into this case, working with you has been very enjoyable and confident. You have displayed exceptional skills and worked with great sincerity and generousness. We are grateful for dedicated work and like to inform that you have been a great asset to our organization. Your efforts have helped our company to achieve various milestones and I hope you have also enjoyed working with us!" Double-opposition of infringing trademark registration applications and registering the client's mark in the U.S. Operated and administered trademark practice and managed same in conjunction with partners; assisted in business development for trademark practice; trademark prosecution, clearance, opinions, counseling, enforcement and transactions; copyright prosecution and transactions; patent research and transactions. Examined trademark and service mark applications filed with the U.S.Patent and Trademark Office for registrability; determined registrability and issued office actions or interfaced with applicants and their representatives either denying registration or setting forth the additional requirements necessary for registration of the applied-for mark.